Post-election Sarajevo: Without the right to stability? The recent elections in Bosnia and Herzegovina have once again shown that they are one of the most difficult in the world. Fortunately, they were fairly calm, and nobody questioned the voting results. However, this positive is over. The results of the same vote indicate that the country is waiting for a rather difficult time. The peculiarity of the elections in this country is their complex procedure. It, in turn, represents a reflection of the uneasy relations between the main ethnic groups of the country - Bosniaks, Croats and Serbs - which besides this, belong to different religious groups and have a complex historical past. Bosnia and Herzegovina is a federal state in the form of a state system. According to the constitution, it consists of two entities (entente): the Federation of Bosnia and Herzegovina and the Republika Srpska. The Federation of Bosnia and Herzegovina, on the other hand, is divided into 10 cantons. Therefore, in order for the state machine of the federation to work at all levels and reflect the interests of all its main ethnic groups, elections in Bosnia and Herzegovina have their own special scheme. They are divided into presidential elections (collective head of state) and parliamentary elections. Members of the Presidium are elected for a term of 4 years and represent the above-mentioned three major state-building ethnic groups. According to the results of the election, the presidential candidate is the candidate who gained the largest number of votes in the election, but every eight months, the next member of the presidium replaces the post. The Parliamentary Assembly of Bosnia and Herzegovina consists of the House of Representatives and the Chamber of the People. The House of Representatives deputies are elected for four years by proportional distribution from each ethnic group. In the House of Commons deputies are appointed by the parliaments of the Republika Srpska and the Federation of Bosnia and Herzegovina. In addition to the members of the collective tripartite presidency and parliamentary assembly, the presidential elections and two vice-presidents of the Republika Srpska, deputies to the parliaments of the Federation of Bosnia and Herzegovina and the Republika Srpska, as well as deputies of the ten cantons, were held in the country. In general, given the above-mentioned complexity of the coexistence of the main ethnic groups of Bosnia and Herzegovina, as well as the electoral system itself, the fact that elections took place and took place without violence should be considered successful. However, it is possible to put a point in the list of positive moments. State institutions of the federation do not work, the standard of living is extremely low. Local national parties, which organized their ethnic groups during the war, are still dominant and enjoy the highest authority among them, are unable to correct the current situation. Moreover, instead of doing so, they continue to manipulate the theme of self-preservation of their ethnic groups in such a different ethnic and religious composition of the country, in the interests of their stable presence in the government and victory in the elections. And unfortunately, this tendency, with a high degree of probability, will continue to exist. Regarding directly the results of the vote, after more than 80% polling stations were voted, the local CEC has already named new members of the presidency of the country: Serb Milordad Dodik, who cast votes at 54% of voters, Croatian Zeljko Komšić with 52% of votes and Bosniak Shefik Dzhaperovich, who scored 37%. In general, such figures are quite logical and in general reflect the political preferences of the three state-building ethnic groups of the federal state. With the exception of the Croatian candidate, who, paradoxically, was defeated by Bosnian voices rather than Croatian voters. However, taking into account the history of the elections in Bosnia and Herzegovina, one can see that such a "gift" to Croats, due to the peculiarities of the electoral system, does not do Bosniaks for the first time. 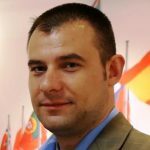 If we disassemble the results of the elections by ethnicity, for example, Bosnians allowed the National Conservative Party for Democratic Action (SDA) to maintain its position with 2014 year. The only compelled change was that Bakir Izetbegovich did not have the right to a place in the collective presidency and was replaced by loyal Shefik Jahperovich. The Bosnian Left Opposition could not consolidate and was not active outside large city centers. As a result, Bosnian Muslims relied on their already well-known face. For Bosnian Croats, the defeat of Dragan Covich from the main national Croatian Democratic Union (CDU), who has often been accused of abuse of power, excessive nationalism and flogging with Russia, on the one hand, should be taken as a good result. However, on the other hand, it can lead to even greater instability. After this time, as in the 2006 and 2010 years, the scenario was repeated, when, due to the peculiarities of the electoral system, the Bosnians managed to resolve the fate of the Croatian candidate. This time they allowed to win the center-left Zeljko Comšić, who immediately after the victory promised that he would defend the interests of the Croatian minority in every possible way. However, Croats, neither in Bosnia and Herzegovina nor in Croatia themselves, regard Koshmich as their representative, and this situation can lead to a deep constitutional crisis in the country. This was already a few years ago, but this time, according to local observers, the crisis may have a completely different scale. From where there was (not really expected) any surprises, it's the Bosnian Serbs. The President of the Republic of Serbia, Milordad Dodik, won the moderate but passive center-right Mladen Ivanych. Not the last part in the victory of Dodike played his support from outside forces, primarily from Serbia and Russia. The appearance of Dodice at the head of the Bosnian collective presidency (since he gained the largest number of votes among other candidates) suggests that the country is facing quite difficult times. This is evidenced by his statements that he made immediately after his victory. Thus, according to him, the main task of the collective presidency will be the abolition of the post of high representative. To this end, he will try to convince the other members of the new presidium of Bosnia and Herzegovina that if they want to create a state stronger than today, then they "need to get rid of the supreme representative." The High Representative for Bosnia and Herzegovina is the post created for the implementation of the Dayton Peace Agreement of 1995 year. The High Representative represents the countries participating in the Dayton Accords through the Peace Implementation Council. All High Representatives have the authority of the United Nations. Along with this, Dodik supports the creation of a "Serbian bloc" in parliament. The words "My motto on the new post will be" Republika Srpska - above all, "in such a heterogeneous ethnic and religious Bosnia and Herzegovina, speaking in general for themselves. Despite the resonance of these statements, political observers agree that it is he (resonance) that is the main purpose of Dodik's political maneuvers for today. It is unlikely that he will be able to realize all that is said, but the constant use of such subjects will provide him with a stable media attention and will allow the Bosnian Serbs to be mobilized effectively. What will be the life of the country after the election? With the rise of ethnic tension, reflected in the positions and activities of national parties, Bosnia and Herzegovina is threatened by a political crisis. In particular, there is a continuing trend where, instead of working together for the sake of developing the state, the Serbian and Croatian national parties around Dodik and Chovich (who, although lost in the presidency, still retain their influence on the country's policy) continue to cooperate with the accused Bosniac in excessive centralism and contempt for the rights of two other ethnic groups. For their part, Bosnian leaders claim that the first two are trying to break the country. This situation is also aggravated by continued economic instability, persistent poverty and emigration. It will not help resolving the situation and the fact that international players, first of all the EU, are quite inert attitudes towards what is happening in Bosnia and Herzegovina. Of all the important Balkan issues, such as the Macedonian-Greek agreement, the Serb-Kosovo agreement and the stabilization of Bosnia and Herzegovina, which the EU does not reach so hard, the Bosnian problem is the last in Brussels. It is not excluded because it is among all three, is the most complicated. And given the fact that there is no visible progress in the first two issues, the prospects for stabilization in Bosnia and Herzegovina look pretty ghastly. At the same time, for another interested party - Russia - the emergence in the collective presidency of Bosnia and Herzegovina of their protege opens up additional opportunities to strengthen its influence on the country. For Moscow in the Balkans, there are enough pain points today, pressing on which, it can easily increase not only their headache, but also Europe as a whole. 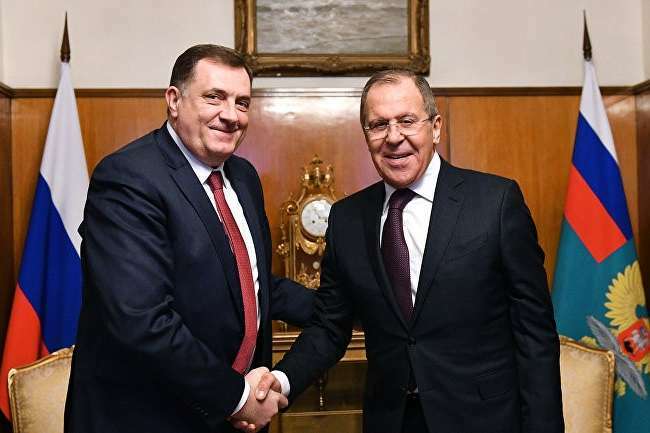 However, a gift in the form of Dodik in the presidential armchair with a high degree of probability indicates that the long arm of Moscow will hit first of all precisely at the points concentrated in Sarajevo. "De-occupation of Ukraine and Georgia: the role of the state, international organizations and civil society institutions"